Paul Atkinson (12) has been a member of Cumbernauld Amateur Athletics Club for several years. 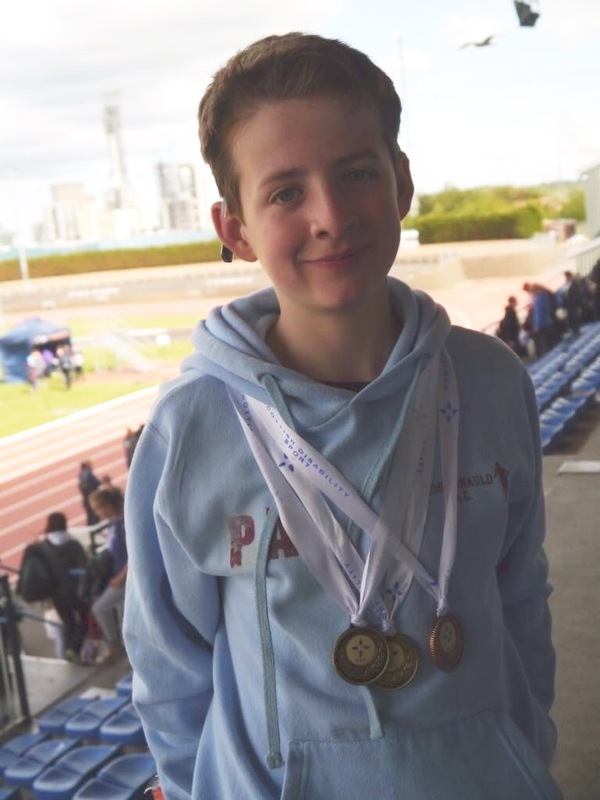 Paul regularly competes for the club in a variety of track and field events and has also been selected and competes for the North Lanarkshire Team, comprising of the best young athletes from Cumbernauld, Airdrie and Motherwell. Paul recently won a Bronze medal, in the Javelin, at the recent West District Championships and last week demonstrated his versatility by collecting Gold (100M), Gold (Javelin) and Bronze (Shot Putt) at the Scottish Disability Sports championships. Well done Paul!